Short description (details): CDCheck is utility for prevention, detection and recovery of damaged files with emphasis on error detection. It offers readability verification, creation and checking of MD5, CRC-32, SHA... hashes (in file formats SFV, MD5 and CRC), extremly efficient file compare (faster than in most other programs) and recovery. CDCheck can be used on all files visible by the operating system. This means all files that you can see in Windows Explorer (CDs, DVDs, disk drives, floppy disks, ZIP drives, USB keys...). Apart from this it also works with audio CDs and provides information about inserted CD/DVD (manufacturer, media type...). Longer description (details): CDCheck is utility for prevention, detection and recovery of damaged files with emphasis on error detection. It can check each your CD/DVD (or any other media) and indicate which files are corrupted. CDCheck reporting features tell you exactly where the problems are. Files on CDs, zip drives, USB keys etc. can get damaged in a number of ways, so the program helps you determine whether your data is safe before it's too late. The program also provides extremly fast binary compare for effectively checking that file transfers (burning, copying...) were accomplished successfully and alerts you of differences. Besides that CDCheck supports creation and checking of MD5, CRC-32, SHA... hashes in SFV, MD5 and CRC file formats. This provides means to check backups for possible loss of information or verify file transfers where comparing is not possible (transfer over mail etc.). 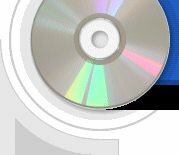 The program can be used with all local or removable media (CDs, DVDs, disk drives, floppy disks, ZIP drives, USB keys...) visible by the operating system (Windows Explorer) and also with audio CDs. In addition CDCheck also gives detailed information (manufacturer, type, capacity...) about inserted CD or DVD media.